Need to be able to hear audio, but don't have a logical place to mount standard speakers? The Fostex RM-3 powered monitor system is rack-mountable, so you can stash it out of the way in your machine room, security office, or utility closet. 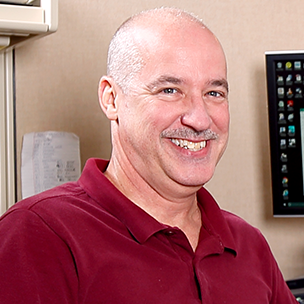 Listen through a pair of built-in 10-watt speakers, or plug in headphones when it's noisy or when privacy is needed. 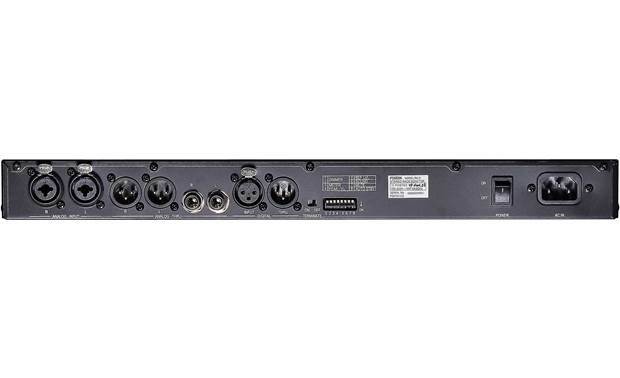 The back panel of the RM[-]3 features a flexible variety of input and and pass-through output connections, including analog XLR and 1/4" jacks, and digital XLR. A set of eight dip switches offer detailed control over various functions: display brightness, mute volume, auto standby, and more. On the front panel, there are convenient single-button selectors for input source and output configuration options. Overview: The Fostex RM-3 is a rack mount stereo monitor speaker system with a built-in 10 W + 10 W class-D amplifier and two 4" x 1.5" speakers. It's the ideal solution for monitoring in various space-challenged locations such as video monitoring, surveillance, machine rooms, mobile and stationary control rooms, and theme park applications where audio monitoring is needed in a compact environment. 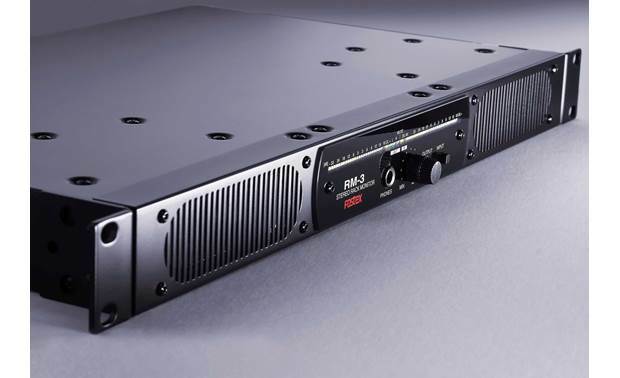 Inputs/Outputs: The RM-3 can accept both analog and digital signals. Analog inputs include two XLR/ 1/4" TS combination jacks, with the XLR accepting balanced signals and the 1/4" TS accepting unbalanced signals. The unit also has a 3-pin digital AES/EBU input. Outputs, or Thru jacks, include two analog XLR jacks and two 1/4" TS jacks. A digital 3-pin AES/EBU jack provides a Thru for any signals input on the AES/EBU digital input. The front panel also includes a 1/4" stereo headphone output for private monitoring. When headphones are plugged into the RM-3, no signal will be outputted from the speakers. When switching from headphones to speakers, or vice versa, the output signal will fade in to avoid sudden jumps in the signal level. Meter and Controls: The front panel includes a 26 segment LED bar that includes 24 LEDs acting as a Level Meter, with a Signal indicator on the far left end and a Peak Over-Level indicator on the far right end. 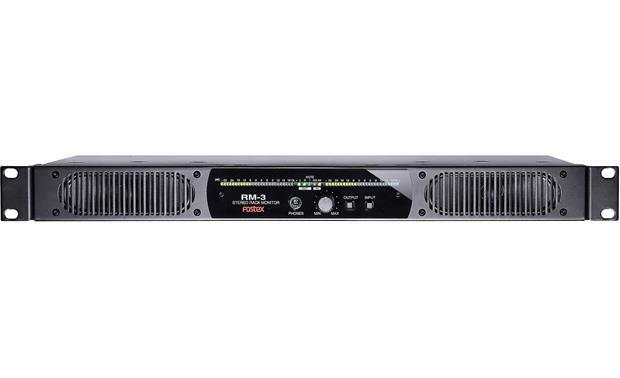 The analog reference level, indicated by 0 on the meter, can be set to display either a +4 dBu (balanced)/ -10 dBV (unbalanced) scale, or a 0 dBu (balanced)/ -14 dBV (unbalanced) scale. The Level Meter type can also be set to: VU, VU+Peak, VU+Peak Hold, and Peak+Peak Hold. The digital signal reference is set at -20 dBFS. The front panel also includes an Input button, that switches between the analog and digital inputs, with two LEDs in the LED bar that will show which is selected. An Output button selects which signal channel(s) will be output with choices of Stereo, L, R, and L+R (summed mono). A Volume knob determines the output level from the speakers and the headphone output. This control also acts as a Mute button when pressed momentarily. The rear panel includes a Terminate On/Off button that determines if a digital signal coming into the unit will get passed back out on the AES/EBU Thru jack. The Power button is also located on the rear of the unit. Display Brightness: DIP switches 1 and 2 can vary the brightness with 4 levels available. Level Meter Type: Switches 3 and 4 determine the type of signal to be displayed by the LED Level Meter. Options include: VU, VU + Peak, VU + Peak Hold, and Peak + Peak Hold. Source Sound Type: Switch 6 determines the appropriate sound type with 2 choices available: Music, ideal for sound sources with a wide frequency range, and Voice, which has a narrow frequency range that's ideal for speech. Volume When Muted: Switch 7 determines the volume when the unit is Muted with choices being Infinity (no sound) or -20 dB. Auto Standby (On/Off): If this setting is On, the unit will automatically go into standby mode if the input level drops below a certain level for approximately 4 hours, reducing the power consumption to 0.5 watts or less. Dimensions: Width - 19.0", Height - 1.73", Depth - 11.20"
Is the Fostex RM-3 UL Listed?